Gucci returns to Milan after a French trilogy in Paris; the Spring/Summer 2019 saw the label’s first-ever presentation in the City of Lights, a pre-fall collection shot in the capital, and a cruise show in Alyscamps cemetery in Arles. You can always count on the storied house of Gucci to push the envelope with its collections and runway shows. Season after season, Alessandro Michele impresses with his use of elaborate narratives, fantastical props and gender-bending collections. 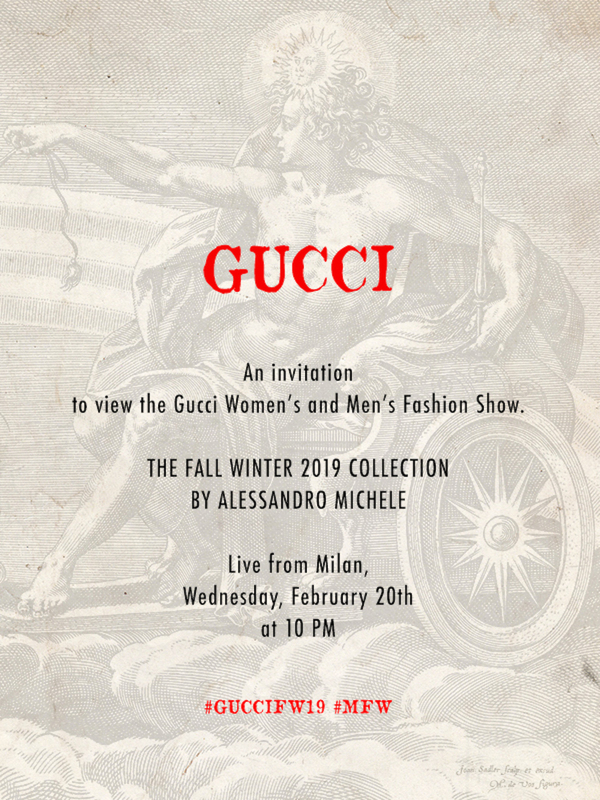 The unified men and women show will take place at the Gucci hub in Milan. And you’re invited to catch all the action here, in the video below on 20 February at 10pm (Singapore time).